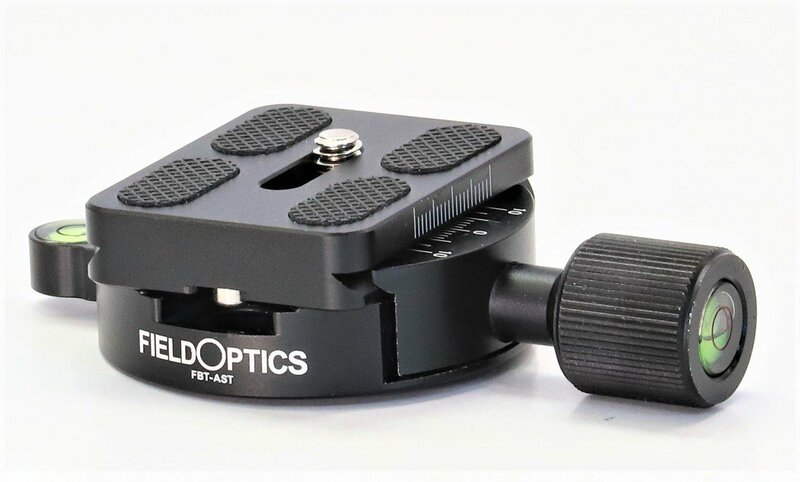 Arca Swiss twist clamp attaches directly to an FBT leveling base via. the 3/8-16 thread stud. Includes two spirit levels and two graduation scales. 65mm OD base dia with 50mm QR plate with retention pins.